Sheet-bulk forming (SBF) processes based on a combination of deep drawing and upsetting are being increasingly used to produce new sheet metal parts with significant changes in wall thickness to accommodate three-dimensional functional features such as solid bosses, teeth and ribs. The utilisation of sheet-bulk forming processes introduces additional complexity in the design, setup and costs of tooling due to the inherent high forces and complex material flow that easily lead to underfilling and failure in critical die regions. 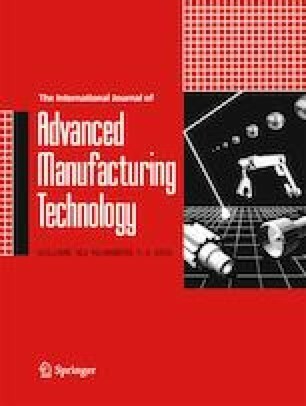 This paper is concerned with these issues and is focused on the development of a sheet-bulk forming demonstrator capable of replicating material flow and failure in sheet thickening, local sheet thickening and sheet injection operating conditions. The demonstrator combines sheet bending and upsetting operations with a flexible design concept based on the utilisation of active modular tool parts to allow different materials, geometries and tool concepts to be tested under laboratory conditions and rapidly transferred to industrial SBF tools. This study was financially supported by Fundação para a Ciência e a Tecnologia of Portugal and IDMEC under LAETA-UID/EMS/50022/2019 and PDTC/EMS-TEC/0626/2014.